I found this mac n’ cheese recipe in a recent issue of an agriculture newspaper and decided to give it a try. I know what you’re thinking, the title of this post says “Hunk of MEAT Monday,” and mac n’ cheese doesn’t usually contain meat. That’s right, so I added meat. A meatless meal doesn’t go over too well with the boyfriend, and we all need protein in our diet. So I threw some ground beef into this recipe. 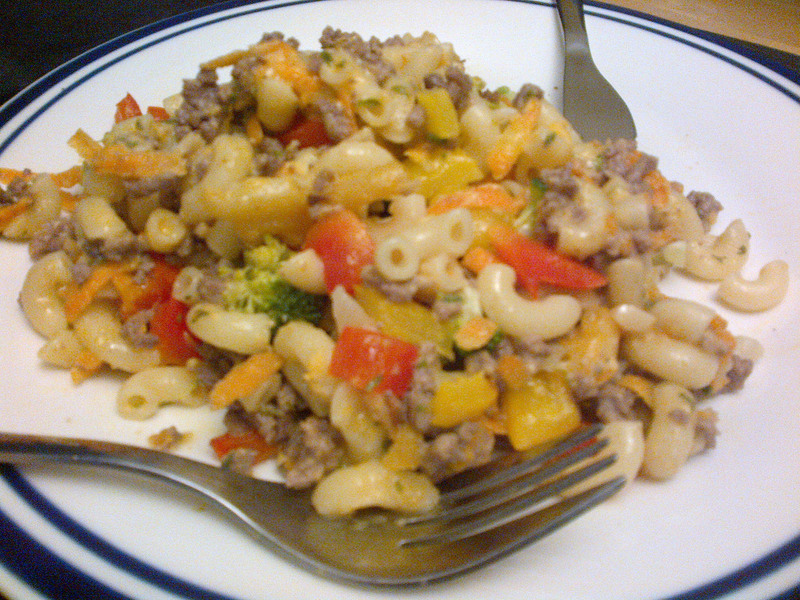 It reminded me a bit of Hamburger Helper – only better. And of course, it contains some veggies, because we all need veggies in our diet as well. Enjoy! 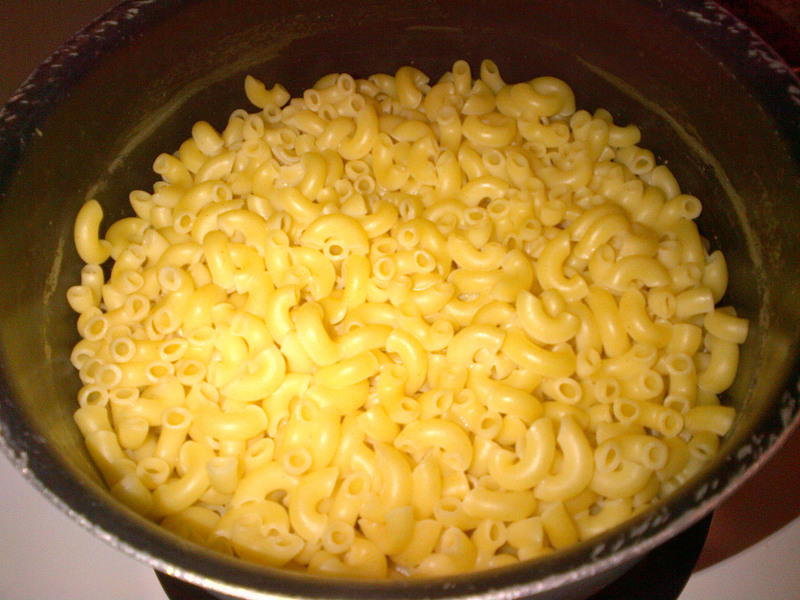 Preheat oven to 350 F. In medium saucepan, bring water to a boil and cook macaroni to al dente. Drain noodles and reserve. In a large saucepan heat canola oil over medium heat. Add onions and garlic and sauté three to four minutes, until onions have softened. Sprinkle with pepper. Add flour and stir to coat the onions. 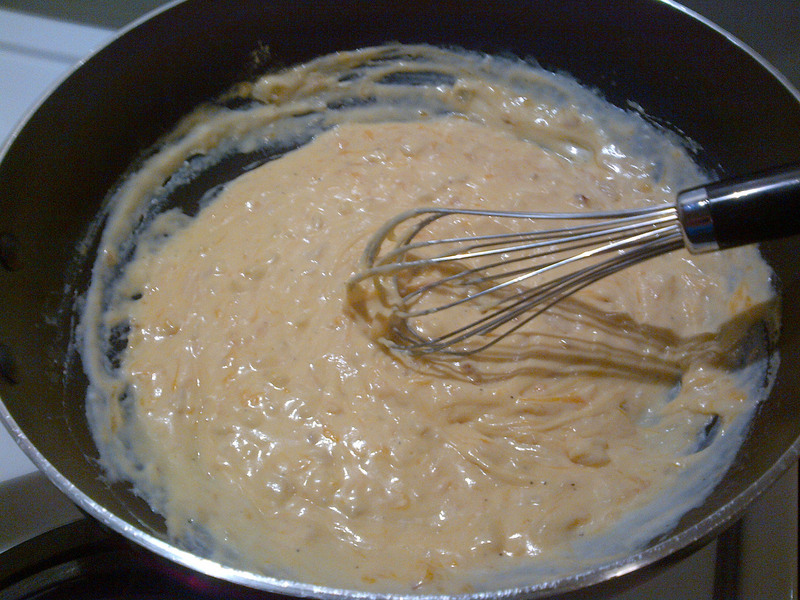 Gradually whisk in the milk and stir over medium heat until sauce thickens. Continue to cook for one minute. Remove from heat and stir in the cheese. Stir until the cheese melts into the sauce. 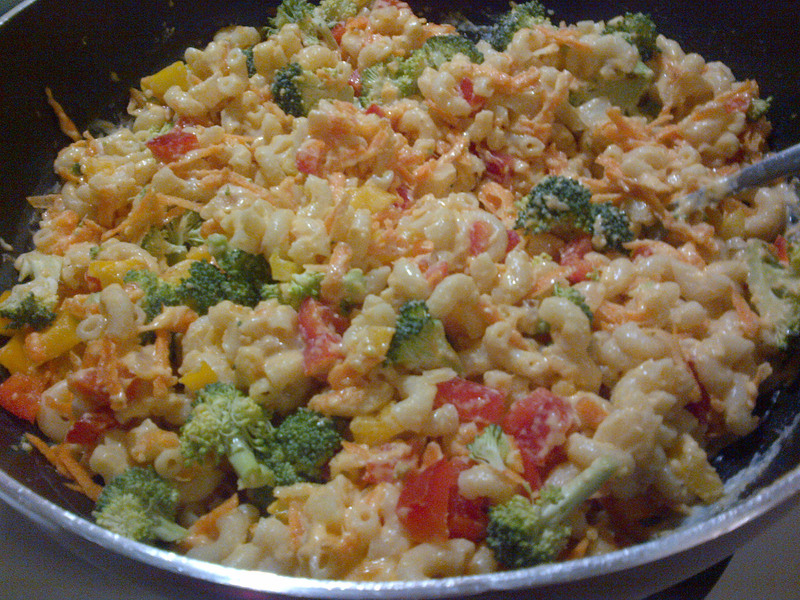 Fold in the vegetables and the cooked macaroni. Transfer to a three-litre casserole dish that has been sprayed with cooking spray. 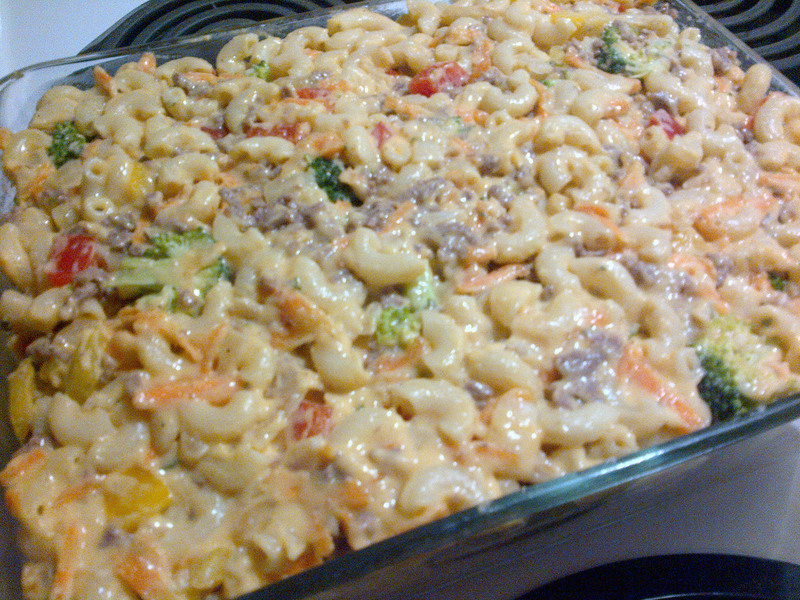 Bake casserole for 25 to 30 minutes or until macaroni is bubbling. Let sit for five minutes before serving. Mix ingredients for the cheese sauce. Add the macaroni and veggies to the cheese sauce. 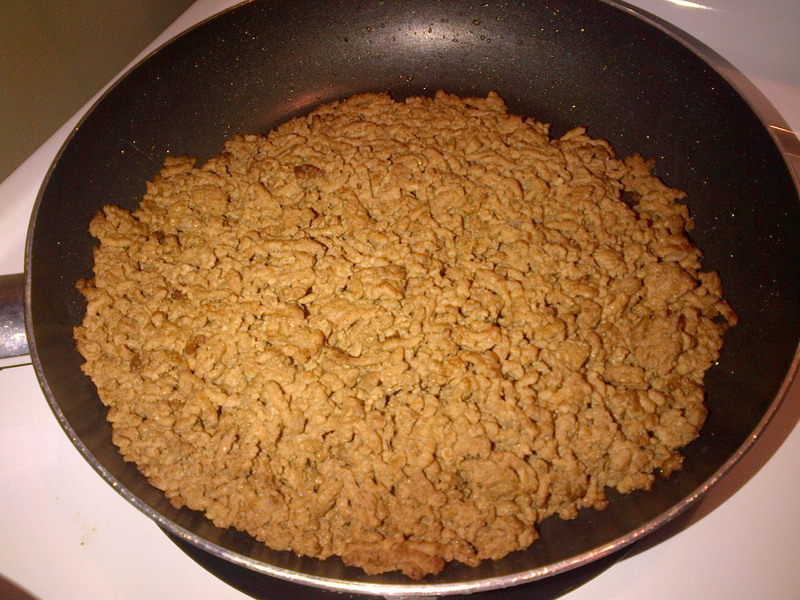 Add ground beef and put in casserole dish. Enjoy! Ideas: add a salad and/or bread to make this a complete meal.